How to implement Pomodoro Technique and Unschedule Calendar to get more done! Unschedule is a type of calendar where you don’t plan your work, you only put meetings on calendar and “fun things” somewhere in between. You plan only for those. Then you’re left with blank chunks of time that you can now fill with work. The premise is similar – a time constraint of knowing you have only X more hours of work, and later a meeting, makes you more focused… and knowing that in a few hours you have your “jogging time”, motivates you to work harder and “deserve” your reward. 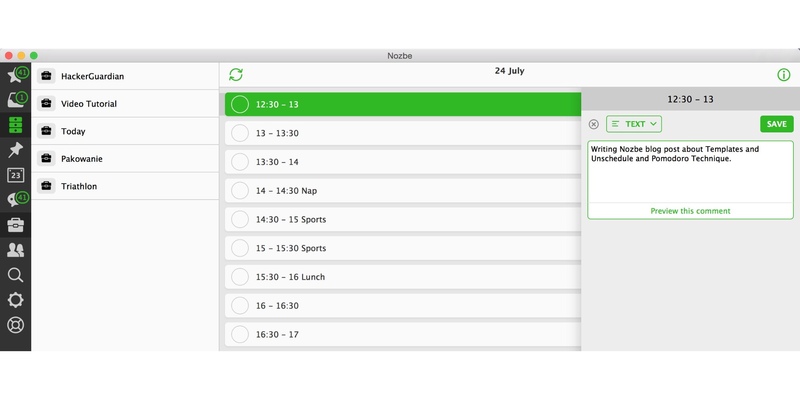 I created a new project in Nozbe called “Today” and filled it with tasks that describe each 30 minutes of my day. So first task is “6 – 6:30”, second is “6:30 – 7”, third is “7 – 7:30”… and so on. My day starts at 6 am and finishes at 6 pm, so I created 24 tasks for each half an hour of my day. If I have some fixed things like “breakfast” or “bringing my daughter to school” I put it in the task name as well, as these happen every day at the same time. Now every day in the morning I go to my “templates” in Nozbe, open the “Today template”, and create a new project from this template with today’s date: “24 July” – this way this project will automatically be sorted on top of my projects list. Feel free to download my Unschedule in PDF and print it! You can use my Nozbe template too – just click here and feel free to modify my template and implement it in order to get more organized. Once it’s all ready, I mark my first tasks done. Let’s say I’ve woken up a little late and it has taken me a little longer to start my day and it’s 6:35 already, I mark the “6-6:30” task as done and go about planning my day. Once I get to 7 am, I go back to my project and go to my “6:30 – 7” task and add a comment to it like: “Planned my day, got coffee” and mark the task as done. I’ll repeat the process after each “Pomodoro”, i.e. each half an hour… It’s 7 am. I go to my other tasks in Nozbe and keep doing what I was supposed to be doing. At 7:30 I’d go back to the project, add a comment to the “7 – 7:30” task with a brief description of what I did in this time frame, I’d mark it as done and go back to my work. You get the idea. I don’t always add comments. Especially not to tasks which are regular, like breakfast with my family, but I’ve found out that adding comments really helps. It’s like a diary. When I have a lousy half an hour, I’d write it in and try to make the next one count. It helps me stay motivated and productive. I use a timer or an app on my Mac called Tadam written by one of our developers – Radek. Hope this post inspires you to start your next week more productively. 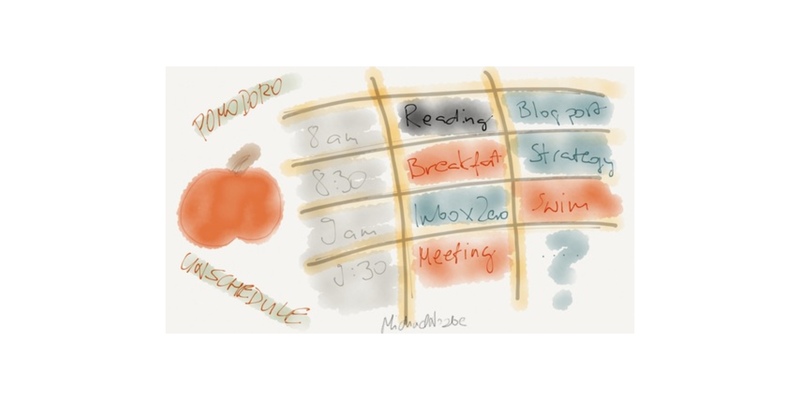 I encourage you to try using templates in Nozbe and mix it with the power of “Pomodoro” and “Unschedule” to have better days – and make sure to put some “fun stuff” in there as well. You deserve it! 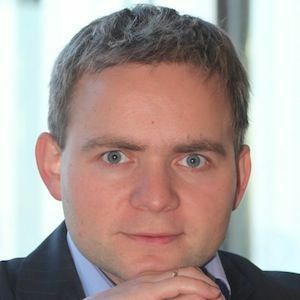 Michael Sliwinski is the editor of Productive! Magazine, the founder of Nozbe (a time and project management application for busy professionals) and of Remag (a complete solution enabling bloggers to easily create their own magazine-like apps). Michael is the best-selling author of #iPadOnly and It’s All About Passion.